Mammut introduced a new line of trail running kit this year, the Mammut MTR series. One of my favorite activities in the summer is long runs in the mountains, so I was excited to put the new MTR kit to use. 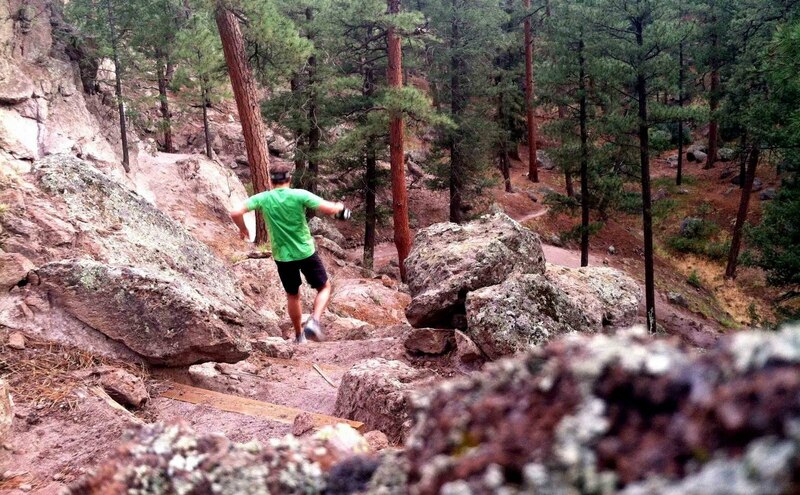 We had a nice start to running season this spring in northern New Mexico, with lots of runs in the Jemez Mountains, including the 8th annual Jemez Mountain Trail Races on May 25th. 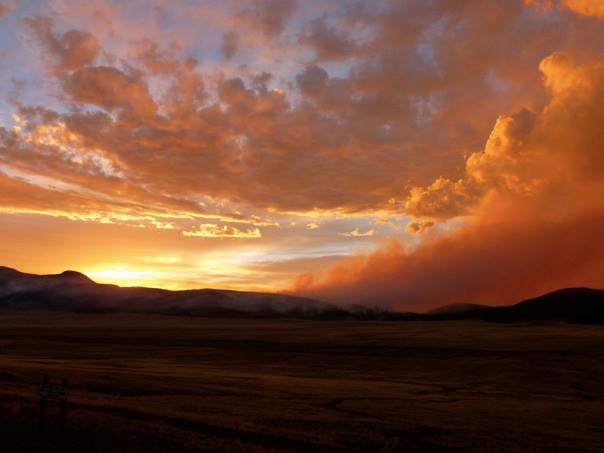 However, the summer season has been slow to get going because of a few fires that closed all of the forest down until just recently. Before we get to my thoughts on the new MTR gear, I just want to shout out The Enormocast. I sat down with Chris Kalous at The Enormocast during the summer OR show and talked about mountain running, alpine climbing, risk, and the role of community in mentorship. Check it out here-> Episode 40: Doug Shepherd - Too smart to be stupid. After the fires finally calmed down, I was able to put the new Mammut MTR gear through the wringer over a few hundred miles of mountain running. I'm really happy with all the kit and wanted to offer a few thoughts on why I like it along with some photos of great runs in the northern New Mexico/southern Colorado mountains. 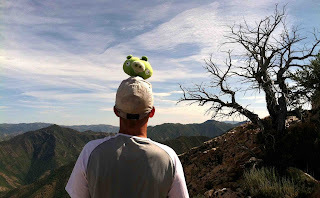 One thing to keep is mind is I'm a climber who loves to run, so I don't think I've ever finished better than 15th in a race and am more interested in long runs in the mountains that involve some sort of scramble or moderate soloing to reach the top of a peak. 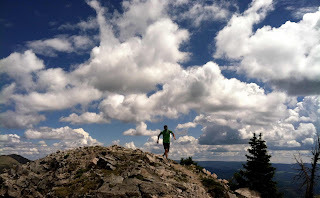 I find mountain running is some of the best training one can do for alpine climbing and it keeps in me in the mountains during the hottest part of the year. The specific MTR kit I've been using this season are the MTR 141 shorts long, MTR 71 t-shirt, MTR 201 7L pack, MTR 201 shoes, and the Active visor. The straps have cam-buckles to lock down the sizing and elastic to tuck away the loose end. This is huge as I've always had trouble with strap creep messing up the fit of my running packs. This pack is very light!! For a similar size as many other packs on the market, this pack is much lighter per volume. The silicon-nylon fabric is a large part of this and so far has held up just fine. For my body-type, the MTR 201 pack sits very well on both my shoulders and back to minimize bouncing and chafing. A different way of suspending a water bladder in the pack. The current loop system can be difficult to use with certain type of bladders, leading to slow transitions in a race and possible water spills. Beefier elastic cord on the front vest pockets. I'm rarely gentle with closures while running, mostly because I am barely keeping it together. I've broken one of these already and have had to remind myself to be more careful with the remaining ones. 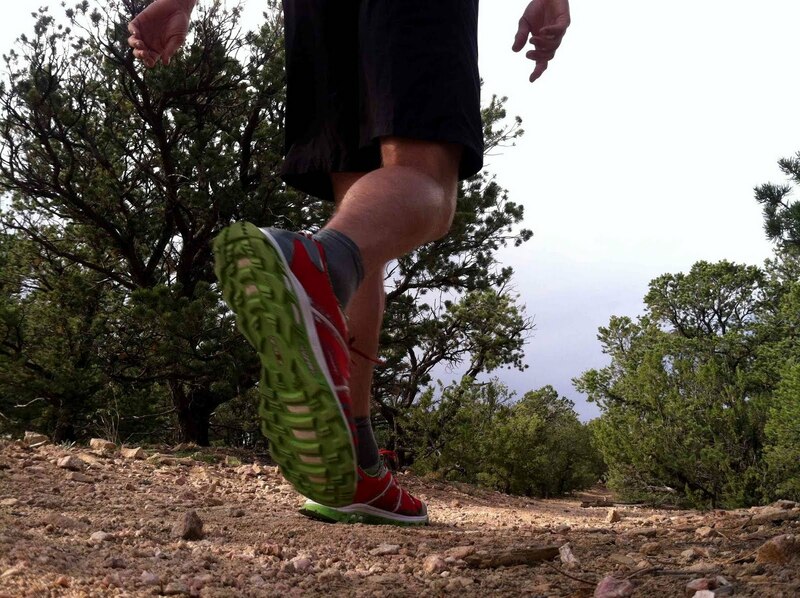 Overall I really like the MTR 201 pack and have used it for every long run I've done since the beginning of the year. It was light enough to race with at the Jemez 50K and adaptable enough to hold everything I need for a long self-supported day in the mountains. I had reconstructive toe surgery last August, spending a few months in a boot and slowly regaining the strength and flexibility to run more than a mile at a time. Trips to Alaska , Patagonia, and Canada along with other climbing have slowed my recovery due of my impatience to be back in the mountains. Because of that, I've tried out a large variety of running shoes in the last year in the hopes of finding a shoe that supports my repaired toe without being too heavy. 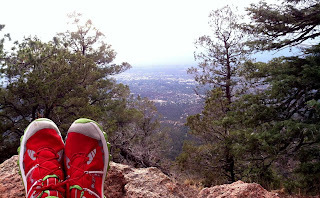 The Mammut MTR 201 shoes have done really well for me on runs less than 10 miles or for days when there is a lot of scrambling and/or easy rock climbing. 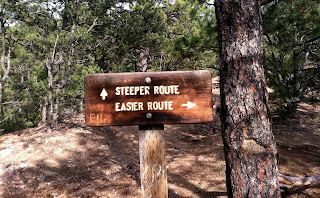 In addition to helping on the uphill, I find that the support provided by the memory foam and plastic reinforcement lock my foot in place for long downhills, especially on technical descents. The MTR 201 shoes eat up descents and the steeper/looser it gets, the more I appreciate the sole design of these shoes. Unfortunately for me, because these shoes are so flexible and lightweight, my repaired toe can only take shorter runs in them at the moment. This isn't a design flaw, but because footwear is so personal it is something to keep in mind as you look for shoes. I highly recommend these shoes for mountain running, where one expects to find loose talus, technical scrambling, and variable terrain along with single-track trails. The Mammut MTR 201 shoes eat up steeps, both on the way up and down thanks to the grippy sole and flexible design. Both the Mammut MTR 141 shorts long and MTR 71 t-shirt work as running clothing should. The fabrics breathe, dry quickly, and fit well. 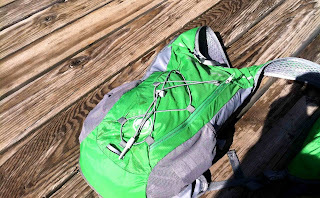 The back zip pocket on the MTR 141 shorts long is large enough for a couple gels and a small iPod, perfect for a couple hours of running. The inner elastic shorts fit very well, and prevent chafing on all-day runs. 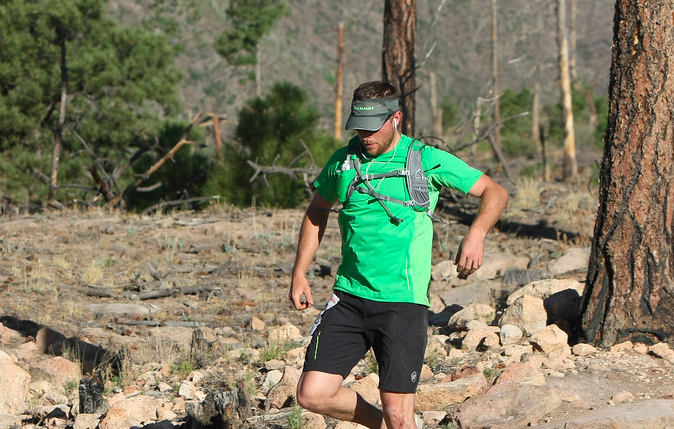 The MTR 71 t-shirt is comfortable, even in warm temperatures and the flat-lock seams prevent any chafing as well. I think the best clothing is designed simply and functionally, with both of these pieces hitting it those ideals. 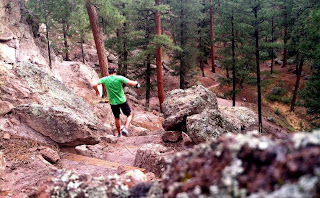 Enjoying a local mountain loop in the Jemez Mountains after an afternoon thunderstorm. Finally, there is the Mammut Active visor, perhaps the most surprising piece of kit. When I got the visor, I thought that the fabric underneath the brim was too tight. However, this design actually wicks away the sweat from your forehead to the front of the visor bill, keeping it from dripping into your eyes. I wear this visor all the time now and have been able to wash out the combination of sweat and sunscreen that accumulate after multiple days running in it without ruining the brim. 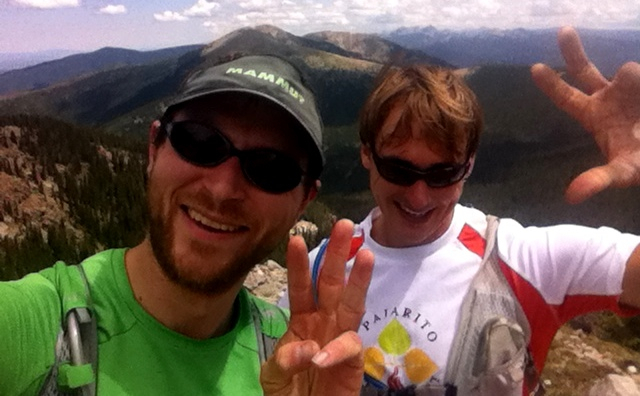 Florian and I on top of Lake Peak, our third peak of the morning on a Sangre de Cristo mountain binge. Overall, I'm very impressed with the Mammut MTR kit and highly recommend it! I had a great day in the mountains around Salt Lake City after Outdoor Retailer that really highlights how well this kit works for mountain "running". We started by soloing the west slabs of Mt. Olympus, heading over to the south ridge of Mt. Superior, and then rallying up Hidden Peak at Snowbird. This put the total gain for day around 10,000 ft with lots of easy 5th class climbing. All I needed for the day was the above Mammut MTR kit plus lots of snacks and water. 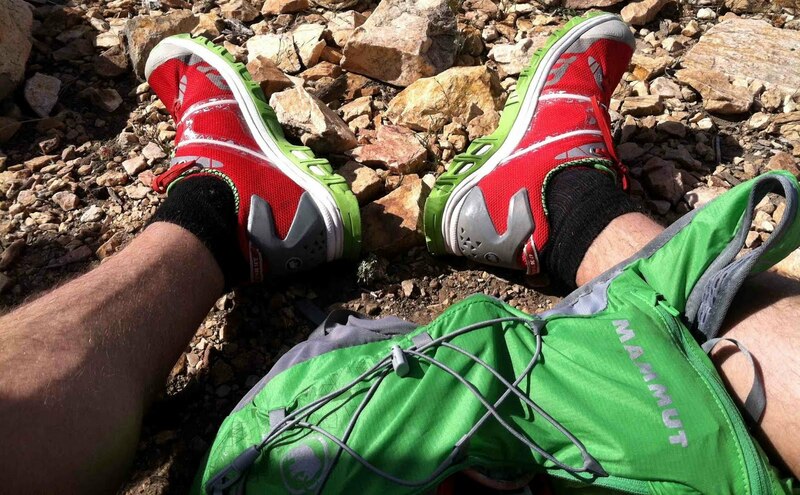 The sticky rubber and sole design on the MTR 201 shoes allowed me solo comfortably and run down sketchy scree, the MTR 201 pack was comfortable for both climbing and running, and the MTR clothing kept me cool and comfortable throughout the long summer day.